Last month, President Trump announced the immediate and complete withdrawal of U.S. forces from Syria. Then he backtracked, declaring that the U.S. withdrawal is contingent on benchmarks set by national security adviser John Bolton and Secretary of State Pompeo: destroying ISIS and security guarantees for the Kurds in Syria. Now, the current course is unclear. Why it matters: Although U.S. forces cannot stay in Syria forever, withdrawing them too hastily could create a vacuum for ISIS to fill. While Turkey has pledged to fight ISIS, Erdogan's agenda is eradicating Kurds, whom he calls "terrorists." If Turkey attacks, many Kurds would be killed or displaced. The Free Syrian Army (FSA) — Turkey's boots on the ground — is dominated by jihadis with al-Qaeda and al-Nusra roots. The FSA has committed atrocities elsewhere in Syria, beheading Kurds and mutilating the bodies of Kurdish female fighters. Without U.S. support and protection, Kurdish fighters will be no match for Turkey’s air power. What's next: The U.S. could cut and run, which would undermine its credibility and risk a bloodbath. Or Washington could organize an international monitoring mission with outposts in Northeast Syria, aimed at deterring Turkey’s aggression. British and French forces would participate, as could personnel from other NATO countries. Middle Eastern countries could also join. 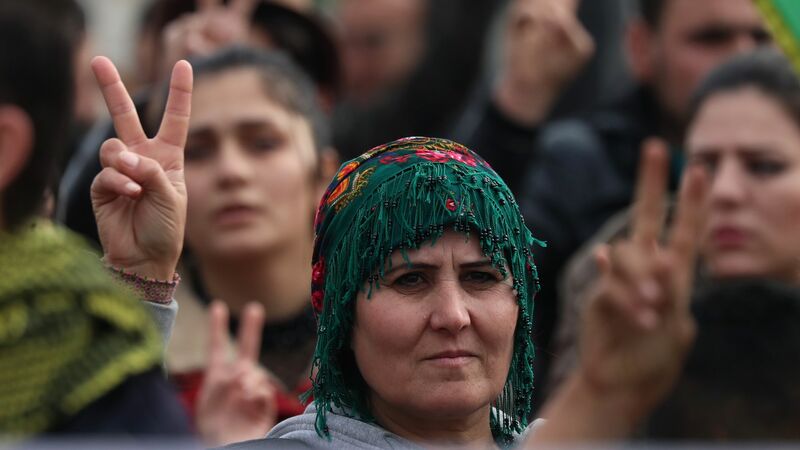 The bottom line: An international monitoring mission could help prevent a genocide of the Kurds and serve as a precedent for establishing peace and stability in other parts of Syria, enhancing both international cooperation and America’s role.